OS X Mountain Lion is Now Available, Download Now! OS X Mountain Lion has been released by Apple. The major update to Mac OS provides over 200 new features, including iMessage support, Reminders, Notification Center, Notes, Game Center, extensive iCloud integration, and much more. The upgrade costs $19.99 but is available for free to Mac users who bought a Mac within the past month. Apple’s generous licensing terms allow you to install a single purchase of Mountain Lion on all of your personal Macs. If you don’t want to re-download OS X 10.8 each time on each computer, you can make a Mountain Lion boot installer from any USB drive or DVD. Be sure to back up each Mac before installing, follow our simple guide on things to do before upgrading if you haven’t done so yet. You have to make sure that your network is free from any other traffic. If your wifi isn’t up to it, then your video will skip. Its not Airplay, its either your computer GPU, or heavy traffic clogging your network. Quit all other apps on your computer, kick all users off the network, then try. If your computer fan comes on, its struggling to cope with streaming H.264 to Apple TV. The better the setup the better the quality. Well my internet runs at 36Mbs, everything other than my Mac Book Pro and the Apple TV 3 and it still runs like crap. On top of that I had to trouble shoot it with Apple as soon as I upgraded. And the Apple TV is hardwired not running wifi, theres no reason for it to work the way it is. Update: Playing with my router settings I disabled QoS and also disabled my 2.4GHz channel on my dual band router. The improvement is acceptable…hope this helps. Installed. They’ve brought back the silly dock shelf. I’ve been able to remove it before by deleting the shelf images but they have renamed those images and I can’t figure out which ones should be removed. HELP! I hate that shelf. It takes up far too much space, is annoying, there is no reason for it to be there. I just want the little icons – nothing more. If you know how to remove the shelf please say so! What do you find as a better choice? time machine -> backup lion -> clean install mountain lion -> restore from time machine. 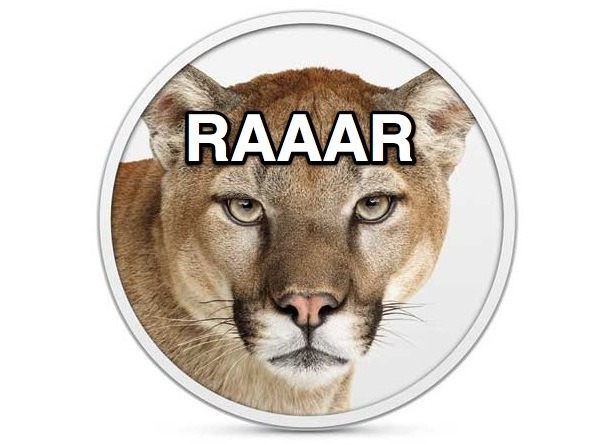 time machine -> backup lion -> upgrade to mountain lion. I personally prefer a clean install, you never really truly know what leftovers will be present with any upgrade. However, it takes about 4 times as long to do as plain upgrade. Has anyone found any particularly useful features in Mountain Lion? So far, it feels just like Lion. Not sure I’ll use dictation very much. By the way, it KILLS Parallels 6. It also messed up DisplayLink but reloading the driver fixed that after a couple reboots. What’s everyone think so far? And if you use BusyCal with Google calendars… whoa! Major issues! Lots of clean up required! um… airplay. . . . has an icon. Thats about all i can say for it. I am in New Zealand but my Apple ID is a US-based account. If I download an app from the app store, will that app come from servers in the US (due to my login) or from New Zealand (due to my location)? It makes a huge difference to the data I am billed for! REALLY unhappy – discovered that Display Mirroring only works with mid-2011 Macs or later – I have a mid-2010 iMac, can’t afford to keep updating hardware! Some enhanced GUI features, such as superior support for full screen applications. So far, only some browsers seem to use it correctly.